You can walk along the streets of El Raval and discover many Barcelonas. One of them is the Barcelona of the homeless people. They gather sometimes near a church as La Mercé and help each other. This young man had been washing his body before in a water fountain nearby. 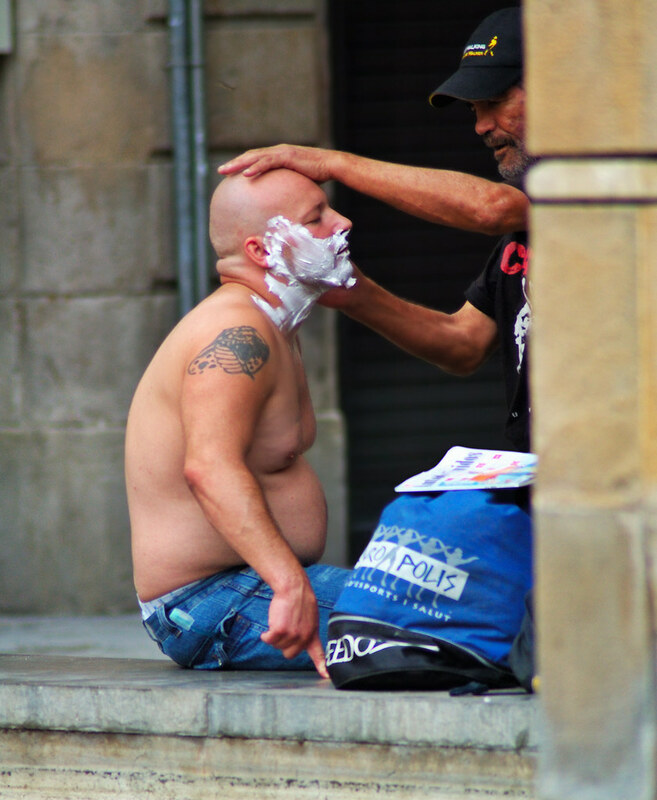 Then he got ready for this special free service: street shaving.